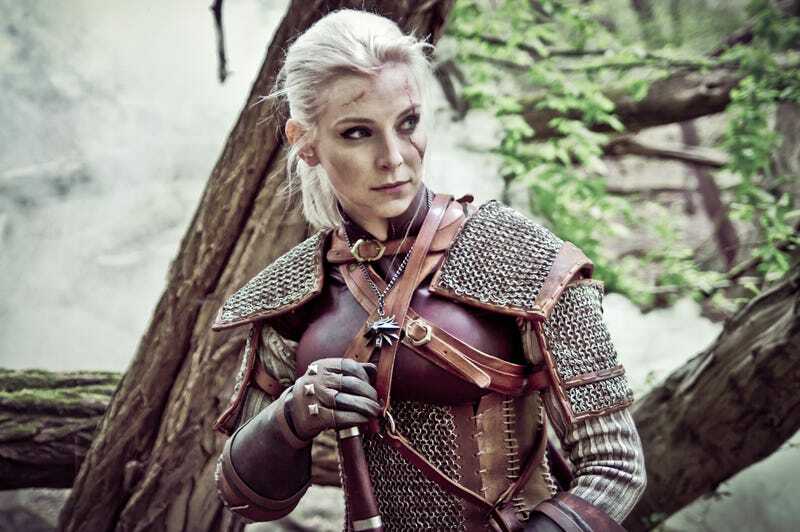 What is it with these Witcher cosplayers, being so relentlessly professional and amazing and stuff? This gender-bent Geralt (with some bonus shots as Ciri), by Aelirenn, is just incredible. That’s real chainmail, pieced together by a blacksmith, and as you’ll see in other pics below, the make-up work on the scars is also super impressive.